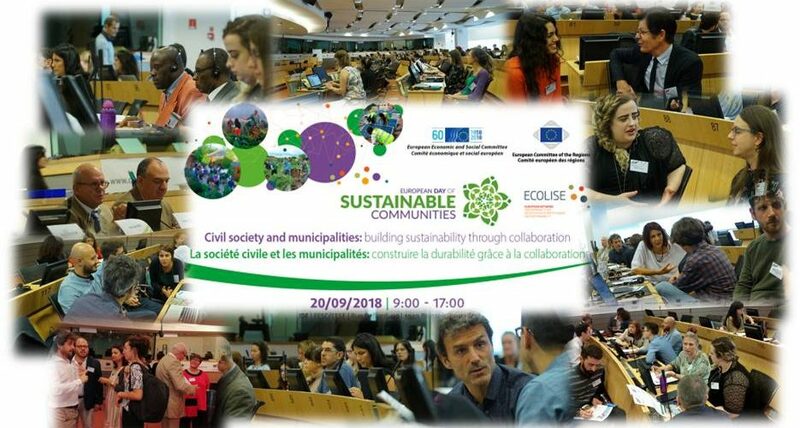 On the 20th of september 2018 the European Day of Sustainable Communities was celebrated in Brussels, co-hosted by the European Economic and Social Committee (EESC) and the European network for community-led initiatives on climate change and sustainability (ECOLISE), in collaboration with Transition Network and the Committee of the Regions. The conference has facilitated a conversation in which participants were able to share experiences, and explore ways to encourage and support this type of collaboration, with also online participants, thanks to the internet streaming of most of the conference. 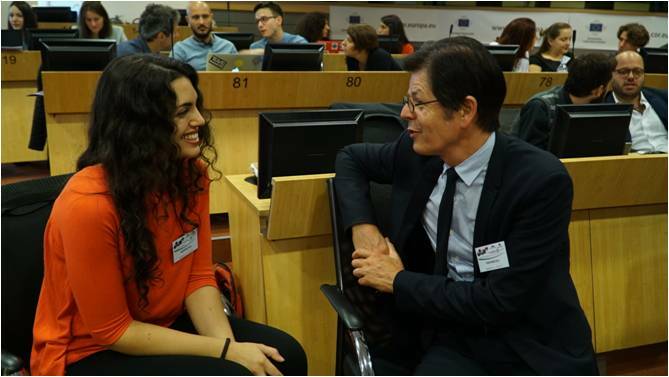 The Municipalities in Transition (MiT) project was at the centre of the discussion topics and the whole MiT core team (Ana Huertas, Juan del Rio, Cristiano Bottone and Tommaso Brazzini) was attending the event. 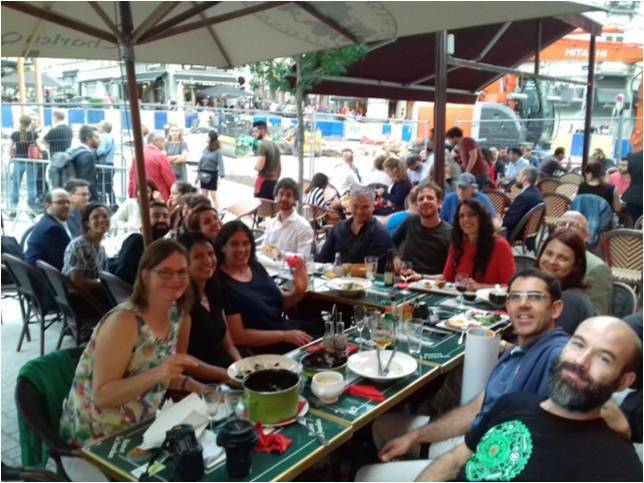 The event was cofacilitated by Sarah McAdam, Transition Network, and Juan del Rio, Red de Transición España and MiT core team. 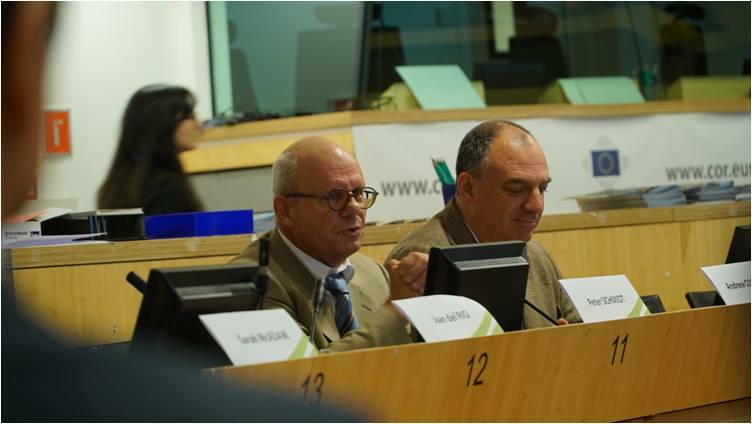 The Welcome remarks started with Peter Schmidt, President of the Sustainable Development Observatory, EESC member and Andrew Cooper, UK/EA, Rapporteur on Climate governance after 2020: a European and global perspective – a contribution to the UNFCCC COP24, European Committee of the Regions. What are the tools, structures, processes and practices that support community groups and municipalities to approach collaboration systemically rather than in a siloed way? How can we work well with emergence and complexity, responding flexibly to the energy and interests of citizens and to strategic needs and opportunities as they arise? What challenges does this present for us as individuals, organisations and institutions? How are people currently accessing resources to support this innovative work? What are the aspects of the work where there is the greatest need for additional resource and the greatest potential to increase the impact of this collaborative activity? How might we create funding frameworks and programs which would support such collaborations to spread, deepen and operate sustainably? What are the barriers to funding this kind of initiative (as experienced by practitioners and by potential funders) and how might these barriers be overcome? 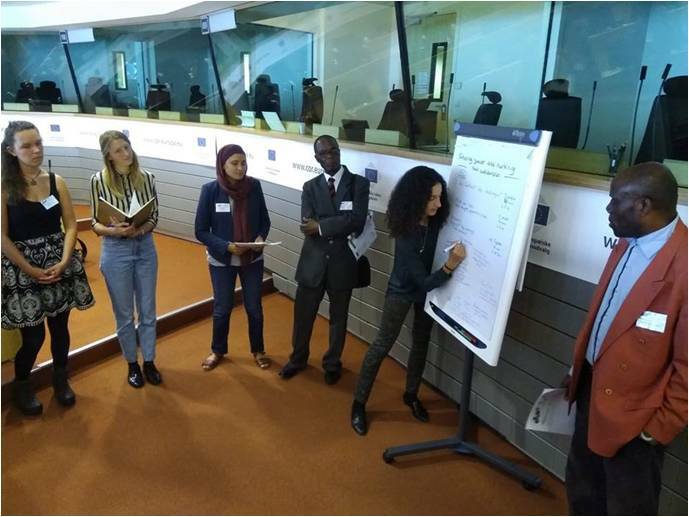 What are the benefits and the challenges that arise when municipalities enter into genuine co-creation with their citizens? What tools, structures, processes and practices support us to share power and collaborate creatively across difference? Where and how does top-down meet bottom-up? 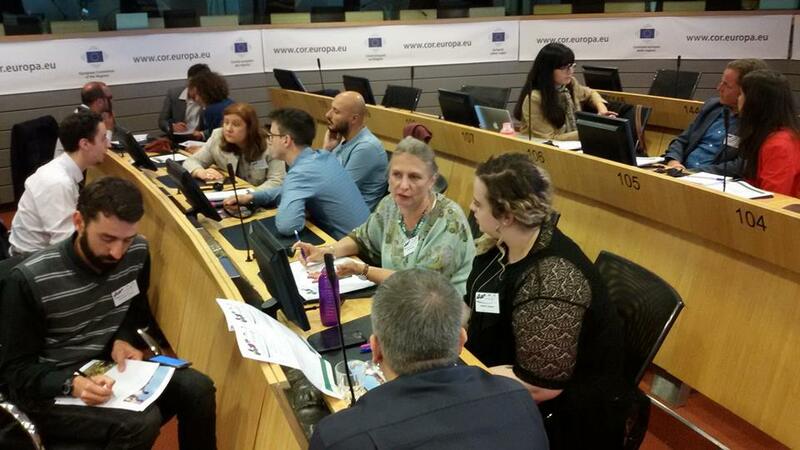 How can EU institutions support and connect to innovative collaborations involving grassroots groups? Do we know what policy barriers are being experienced and how they might be overcome? If not, how can we start to collect and act on this information? Communication is one of the main issues, there is a big barrier to reach audience. It could be useful to build a common language & common ground to reach people and call for action. the problem of the methodology: there is no ready-made framework with a local yet systemic approach rather than thinking in silos. At the same time it is difficult to assess the impact of a certain action/methodology. This moment witnessed a lot of participation both from in-person and online participants with the sli.do application and facebook group. After the buffet lunch the topic shifted to What can the EU deliver to support Communities and Municipalities with the presence of Rudolf Niessler, Director G Smart & Sustainable Growth & Southern Europe, DG REGIO, European Commission, and Ms Višnar Malinovská, DG CLIMA, European Commission. This session was moderated by Sarah McAdam and the public could interact with Q&A. First of all the discussion was focused on the topic of a systemic approach to collaboration. Then the discussion moved to resourcing this work and the role of the EU in supporting collaboration. Last topic covered the issue of sharing power. It was quite clear, from the various interventions, that if we observe the effects of CO2 emissions after european policies, we are still far from the objectives proposed in the Paris agreement. It would be useful to accept the failure of certain policies and funding management and give space (and funding) to new experimental projects with a long-term vision, considering that reaching a maturity can take few years (generally more than what is normally funded).